Built in 2001, the beautiful ranch home of Sally Freeman is located in the south end of the Central Valley. Inspired by her great-grandmother, Rosa Camarillo, Sally wanted their family home to reflect her heritage. The city and county of Camarillo were named after her family, and her great-grandparents owned one of the first Spanish land grants in California. 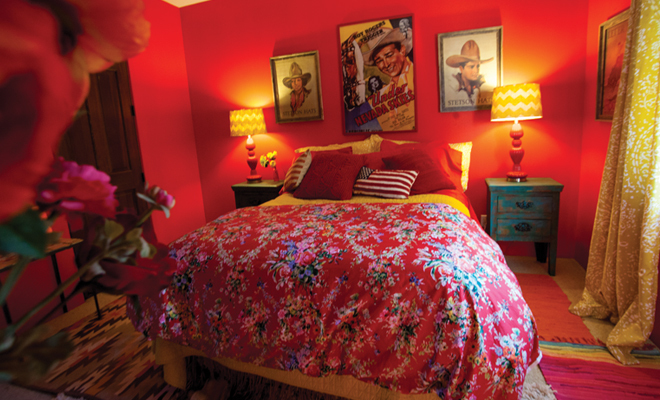 Sally grew up surrounded by Santa Barbara blues and bright colors. Her great-grandmother’s influence stuck with her as she and her husband began their build.